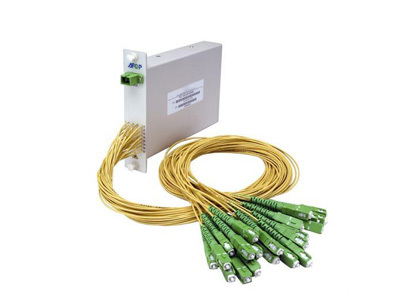 The Fiber Optic PLC Splitter LGX Modules deliver on all these requirements. and features low insertion loss, low polarization dependent loss and, high port-to-port uniformity. 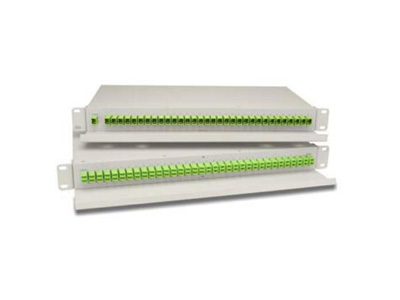 The PLC Splitter LGX Modules are available in 4, 8, 16, 32 channel configurations with SC or LC pigtails. AMINITE introduces a new family of PLC Splitter LGX Modules for today’s high-port count applications that demand the best performance and the highest reliability under the most adverse of environments. AMINITE’s PLC Splitter LGX Modules deliver on all these requirements. The PLC Module features low insertion loss, low polarization dependent loss and, high port-to-port uniformity. 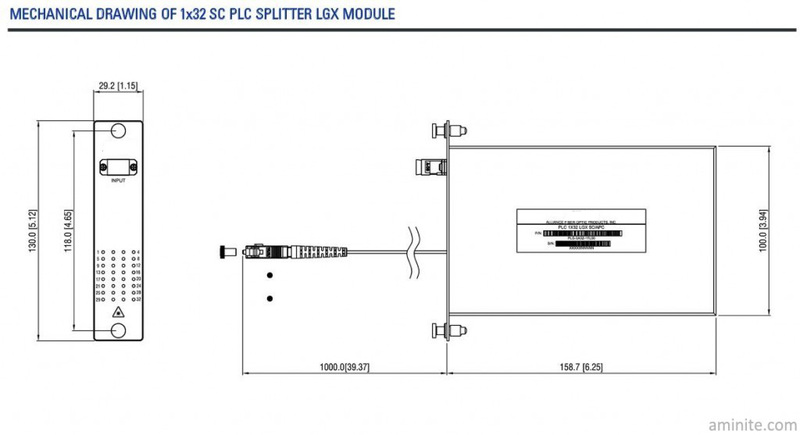 The PLC Splitter LGX Modules are available in 4, 8, 16, 32 channel configurations with SC or LC pigtails. 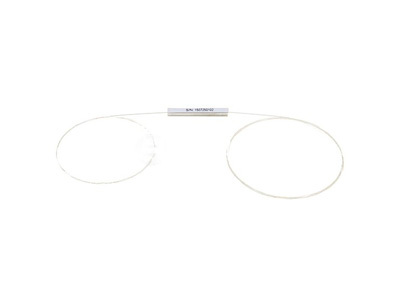 Our OEM-friendly packaging provides the flexibility to meet the broadest design requirements.They are widely used in the optical fiber market. 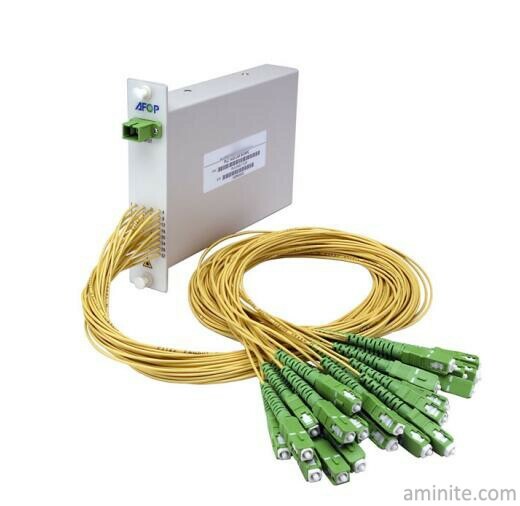 Aminite supply the Premium Fiber Optic PLC Splitters, these PLC Splitters meet or exceed Telcordia GR-1209-CORE and GR-1221-CORE standards for perform-ance and reliability.They are widely used in the optical fiber market.